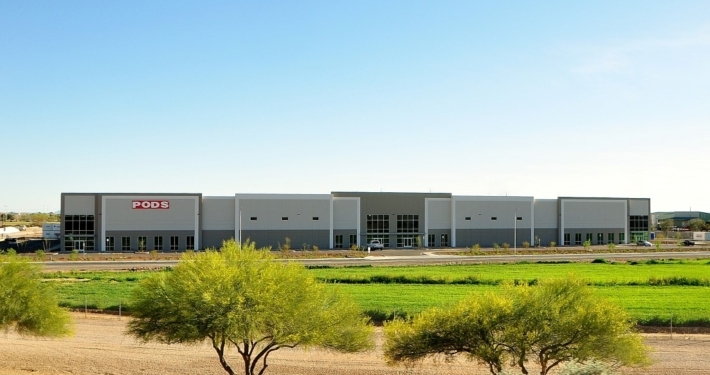 This 106,000 SF, 28’ clear-height, rear-loaded industrial facility was constructed for the largest Arizona operations of PODS® Moving & Storage. Construction was tilt-up concrete with steel reinforcement. The final lot size was 6.58 net acres (286,862 SF) and included 161 parking stalls, giving the site a coverage of 37%. 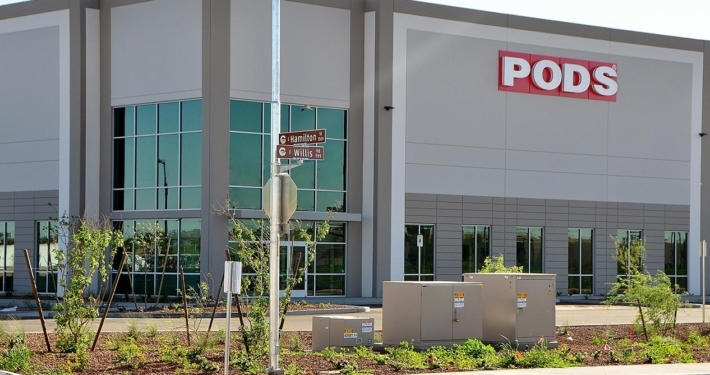 The building was constructed specifically for PODS®, whose use required their building to be able to handle an extremely high volume of interior forklift activity, an unusually high weight load on the floors due to the stacking of the PODS®, a very high volume of truck activity in the truck wells, and a need for easy-to-access outdoor storage. Additionally, the building also needed to function as a quasi-retail building for the portion of customers who choose to come to the building to access their PODS®. In addition to designing around these requirements, the layout and signage of the building optimizes the unique freeway visibility to make the building itself function as a billboard-like advertisement for PODS®. Finally, while the building’s primary function is for a single-tenant, it is designed with the future in mind of having more than one tenant without compromising any of the functionality for PODS®.